FAIRBANKS, Alaska — Alaska Republican Sen. Lisa Murkowski and a bipartisan group of senators are pushing legislation that would allow legal marijuana businesses to use banks to store profits. Murkowski and Democrat Sen. Jeff Merkley of Oregon have introduced a measure within the Secure and Fair Enforcement Banking Act that Merkley sponsored last year, the Fairbanks Daily News-Miner reported Thursday. Many banks refuse to do business with marijuana growers, processors and sellers because marijuana is still a controlled substance under federal law. Murkowski said that allowing marijuana businesses to set up bank accounts could help states manage the businesses better. “States that have moved to legalize marijuana did so with the understanding that markets would be well-regulated and transparent,” Murkowski said. 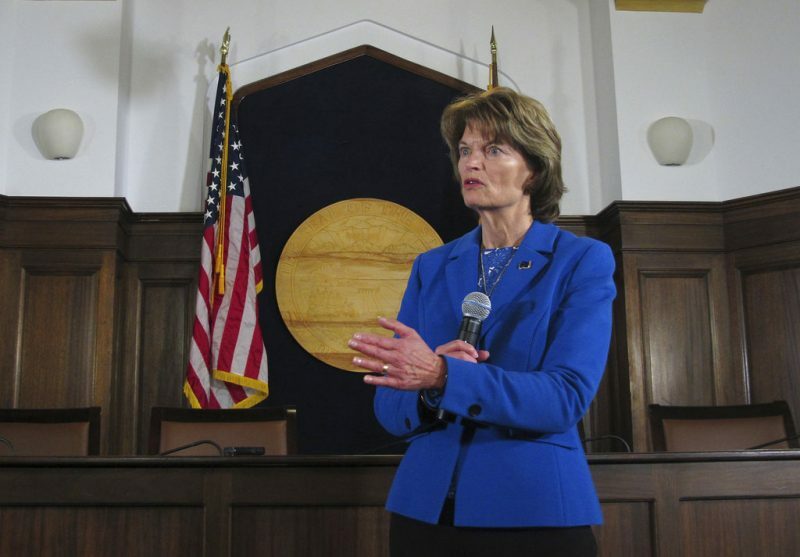 Murkowski said other officials have expressed similar views. “That is why a number of attorneys general, including Alaska’s, believe that it is urgent for Congress to clarify that marijuana and marijuana-related businesses that operate legally under state law can deposit their receipts in the bank, just as other lawful businesses do,” Murkowski said. In January, Murkowski spoke out in favor of state’s rights after U.S Attorney General Jeff Sessions rescinded the Cole Memorandum, put in place by former President Barack Obama to ease federal prosecutions of state-compliant cannabis businesses. The legislation, currently being discussed by Senate committee, could prove to be a welcome change for Alaska’s cannabis industry.